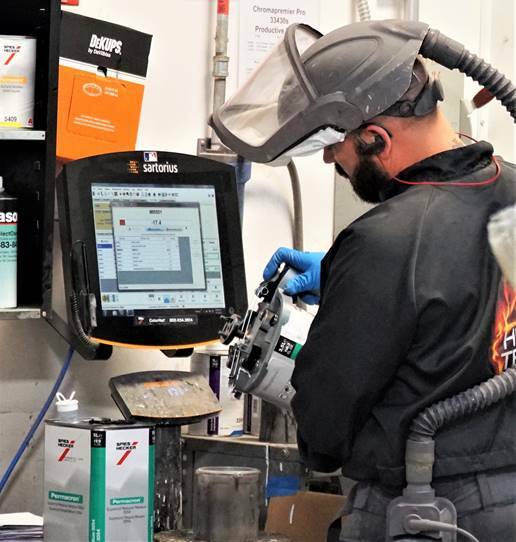 At Elite we strive to make the process as easy as possible by providing excellent customer service and quality repairs. As the largest independent collision repair center in Tidewater, Virginia, we have experience dealing with all types of damage. We can repair damage to any part of your vehicle and restore it to its original condition. Our diagnostic tools ensure all systems are operating at optimum levels. In fact, by the time we are done with your repair, it will take a trained eye to realize your vehicle was ever in an accident. Our dedicated and skilled technicians will have your vehicle back on the road in short order. We take ownership of the repair process to ensure that you know what to expect. You should not have to call us for updates or questions on the status of your vehicle. It is our responsibility to keep you informed from beginning to end, to explain what needs to be done so it is easy to understand, and to get it done in a reasonable period of time. We will have your vehicle delivered back to you as quickly as possible. Our goal is for you to be completely satisfied with your repairs at Elite Auto Body. Our hope is that you will be happy with your experience at Elite that you will recommend us to others. We look forward to serving you! Had an Accident? Call a location near you now!